When you are looking for a garden centre in Wakefield that can offer compost supplies and wild bird food, you need look no further than Newstead Nurseries. We are a local family run business located in Havercroft that has recently undergone a full refurbishment and is now under new ownership. For your convenience, we are open 7 days a week and our staff are always on hand to offer expert advice. Our commitment to our customers enables us to supply a comprehensive range of garden supplies at reasonable prices. Call us today to discuss your requirements. 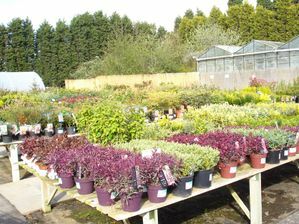 Whenever you need garden supplies in Barnsley or wild bird food in Wakefield, you can rest assured that Newstead Nurseries can supply you with products that are fit for purpose and satisfy your needs. Contact us today via the Click to Call feature or through our Contact Us page.